Lofhi awarded T44085: Wikimedia needs a URL shortener (tracking) a Like token. Lofhi added a comment to T215002: New paragraph before section heading becomes line break. Similiar problem observed on frwiki, diff : 1 and 2. Lofhi added a comment to T213922: VE removes all new lines when editing a template. Lofhi added a comment to T212972: Remove reference to text fields replaced by the comment table from WMCS views. Lofhi added a comment to T212617: archive_userindex view not updated to include ar_comment_id. archive_userindex is strongly recommended for WHERE clause or ORDER BY statement. Several contributors from different communities (mainly frwiki and enwiki) reported that they are penalized in their daily contributions. Lofhi removed a watcher for XTools: Lofhi. Lofhi awarded T165189: "→" link to page section on History page can be hard to click, should be larger somehow a Like token. Lofhi added a watcher for XTools: Lofhi. Lofhi awarded T189717: Better handle block reasons on mobile (specifically templates and HTML comments) a Like token. Lofhi awarded T194470: Simplify timestamp on mobile block notice a Like token. Lofhi added a comment to T203427: <maplink> behavior completely destroyed. Lofhi added a comment to T201126: Timeless: In desktop-large view, content area has unlimited width pushing right sidebar off the screen. Lofhi edited projects for T201115: MediaWiki API deprecation warnings, added: MediaWiki-API; removed Parsoid. Lofhi added a comment to T201092: MediaWiki API deprecation warnings - 'rvslots' isn't documented. https://lists.wikimedia.org/pipermail/wikitech-l/2018-August/090463.html says documentation is missing and will be updated tomorrow -- but that this can be safely ignored for now. Lofhi renamed T201092: MediaWiki API deprecation warnings - 'rvslots' isn't documented from 'rvslots' isn't documented in https://en.wiktionary.org/w/api.php?action=help&modules=query to MediaWiki API deprecation warnings - 'rvslots' isn't documented. Lofhi merged task T201115: MediaWiki API deprecation warnings into T201092: MediaWiki API deprecation warnings - 'rvslots' isn't documented. Lofhi merged T201115: MediaWiki API deprecation warnings into T201092: MediaWiki API deprecation warnings - 'rvslots' isn't documented. Linked to T200568: Make API query modules aware of MCR and rMWfb1b454e6a6f: Merge "API: Update query modules for MCR". Lofhi added a comment to T200955: Update pywikibot queries for MCR. The same warnings just appeared on frwiki. Lofhi added a comment to T191452: Deploy TemplateStyles on French Wikipedia on 2018-07-19. Thanks for the advice @Aklapper (I will avoid asking my questions here in the future) and thanks for the complete answer @Nirmos ! Hi @Deskana, it's a little off topic, but I can't find an adequate answer. Deskana awarded T191452: Deploy TemplateStyles on French Wikipedia on 2018-07-19 a Like token. Lofhi awarded T191452: Deploy TemplateStyles on French Wikipedia on 2018-07-19 a Party Time token. Lofhi renamed T193095: There are a few missing "ge-5" pagecounts file from 2016 from k7daaaaaaa to There are a few missing "ge-5" pagecounts file from 2016 . Lofhi set the point value for T192905: Add JMX and Prometheus monitoring to Hadoop Journal nodes to 3. Lofhi renamed T192905: Add JMX and Prometheus monitoring to Hadoop Journal nodes from uceaaaaaaa to Add JMX and Prometheus monitoring to Hadoop Journal nodes. Lofhi renamed T192874: Degraded RAID on ms-be1043 from pdeaaaaaaa to Degraded RAID on ms-be1043. Lofhi renamed T192907: Default query examples for Wikibase-specific WDQS from sceaaaaaaa to Default query examples for Wikibase-specific WDQS. Lofhi renamed T192897: Apex: Shadow and clipping problems with dialogs from 2ceaaaaaaa to Apex: Shadow and clipping problems with dialogs. Lofhi renamed T192896: Frequent client-side errors for reading list service from 3ceaaaaaaa to Frequent client-side errors for reading list service. Lofhi renamed T197610: Record which DC served the request from 5paaaaaaaa to Record which DC served the request. Lofhi renamed T196528: Setup dashboard for performance survey responses from 7jbaaaaaaa to Setup dashboard for performance survey responses. Lofhi renamed T196772: Performance survey shouldn't appear on category page from fdbaaaaaaa to Performance survey shouldn't appear on category page. Lofhi renamed T197611: Measure approximate top paragraph timing from 4paaaaaaaa to Measure approximate top paragraph timing. Lofhi renamed T196163: Add ability to render/inject QuickSurveys server-side to loggedin users from cubaaaaaaa to Add ability to render/inject QuickSurveys server-side to loggedin users. Lofhi updated subscribers of T198487: Autopatrol sometimes fails to work on fawiki. Lofhi reopened T198449: Rollback from autopatrolled user was marked as not patrolled as "Open". Lofhi merged T198487: Autopatrol sometimes fails to work on fawiki into T198449: Rollback from autopatrolled user was marked as not patrolled. Lofhi merged task T198487: Autopatrol sometimes fails to work on fawiki into T198449: Rollback from autopatrolled user was marked as not patrolled. Lofhi merged task T198449: Rollback from autopatrolled user was marked as not patrolled into T198487: Autopatrol sometimes fails to work on fawiki. Lofhi merged T198449: Rollback from autopatrolled user was marked as not patrolled into T198487: Autopatrol sometimes fails to work on fawiki. Lofhi added a comment to T197555: Change syntaxhighlight icon to something else than a previously signature pensil. Confusions are also reported on frwiki, some people have had trouble disabling syntaxhighlight. Lofhi awarded T196142: Have a way to limit the number of thanks given by one user to another a Like token. Lofhi updated the task description for T193769: Thousands of failed login attempts (wrong password). Lofhi added a comment to T193769: Thousands of failed login attempts (wrong password). Lofhi renamed T193769: Thousands of failed login attempts (wrong password) from failed login attempts to Thousands of failed login attempts (wrong password). Look at Grafana. It's been happening since ~11:00 (UTC). Lofhi added a comment to T193148: How does the GDPR affect Wikimedia sites and Wikibase instances?. It's weird we don't have more information on the Phabricator. This was a topic of discussion during emails written internally in February, it is already planned for the year 2019 to check at two different dates of the year if the different projects are in compliance, the director of security and the deputy general counsel of the foundation deal with this compliance, but there is nothing on the Phabricator. Lofhi updated the task description for T192924: Unclosed HTML tags spread to other sections. Lofhi created T192924: Unclosed HTML tags spread to other sections. 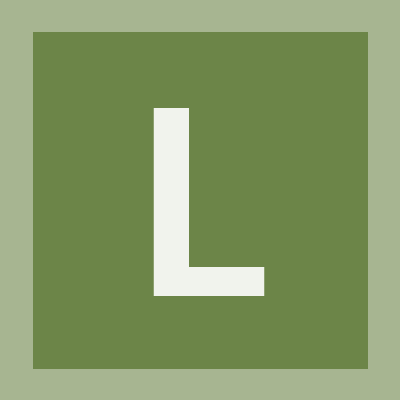 Lofhi awarded T184185: Hidden topics should be noindexed a Like token. Lofhi added a comment to T158826: Pressing Backspace causes the page to abruptly scroll up (in Chrome on Android). Hello, this is not an isolated problem. Some Francophone contributors complained of similar problems. Here's what I was able to gather. Lofhi awarded T152731: Implement server side filtering (if we should) a Like token. Thibaut120094 awarded T191452: Deploy TemplateStyles on French Wikipedia on 2018-07-19 a Party Time token. Lofhi triaged T191452: Deploy TemplateStyles on French Wikipedia on 2018-07-19 as Normal priority. Lofhi created T191452: Deploy TemplateStyles on French Wikipedia on 2018-07-19. Lofhi awarded T32750: [Epic] Ping/notify user when username used in an edit summary a Like token. Lofhi added a comment to T188007: Add data from the "ProtectedPages" special page to the API. You can use action=query&list=allpages with apprtype= and apprlevel= to find the protected pages. The timestamp, reason and user may not part of the api yet. Lofhi renamed T188007: Add data from the "ProtectedPages" special page to the API from Add data from the "Protected pages" special page to the API to Add data from the "ProtectedPages" special page to the API. Lofhi triaged T188007: Add data from the "ProtectedPages" special page to the API as Low priority. Lofhi created T188007: Add data from the "ProtectedPages" special page to the API. Lofhi added a comment to T166577: Wrong page for Featured Article card for French Wikipedia. I have this problem on Android 7.1.1 with the official app - version 2.5.195-r-2017-04-21. Lofhi created T163620: Bad link on "View page in browser": http://fr.m.m.wikipedia.org.